This is easy to use, easy to apply and good drying time (2-3 minutes a coat). This is a nice green colour and I do like it. Noticed slight tip wear but lasted well otherwise. I'm a huge fan of greens and this one is gorgeous! Love the finish too. very pretty green! 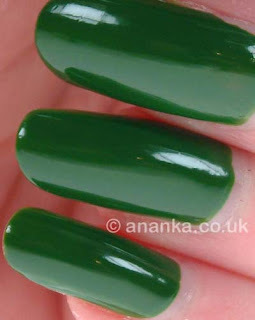 I think I have hesitated to get it not so long ago but I thought it could be very similar to a Zoya green I own. That's real gorgeous green. Like a meadow. It makes me think of Ireland LOL - it's a very rich color! All set for St. Patrick's Day. 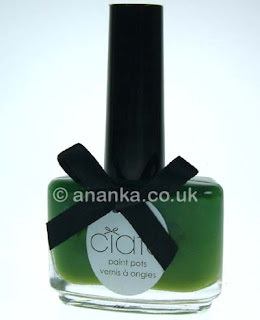 A really striking green! I like jellies, although I haven't got a lot of them, strange. That one is really cool, unusual shade of green. Que cor maravilha arrasou, tenha uma semana abençoada. Greens don't like me very much but I really like what it looks like on you!